There are various of shops near INTI that entertain students with many differentiated products and services. Let’t look what kinds of entertainments are available near INTI Subang!! 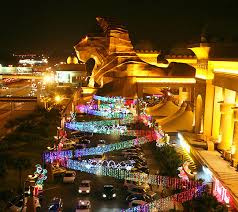 Sunway Pyramid, which is very huge shopping malls facilitated with multiple shops are located near INTI. Sunway Pyramid is around 5 minutes driving distance apart from INTI Subang that many students can visit during their free time in between classes or after their classes. There are many shops where offer entertainment services in Sunway Pyramid such as cinema, karaoke, escape room games, game machines, console game cafes, theme park (which is actually very hard to visit weekdays as students do not have enough time to spend in theme park), and so many other activities. Additionally, there are many restaurants, cafes, and bars for students to enjoy foods and drinks. Students can also spend time to shop clothes, accessories, and many other goods as there are many retails stores which offer diversified products under different categories. Many students enjoy playing games, and every student plays different games that they like most or usually play. Hence, there are students who wish to play online games when they have break times when they are at the campus. 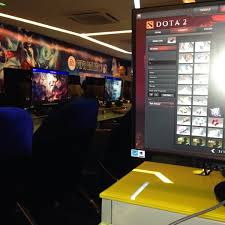 There are quite number of cyber cafes that are located near INTI Subang, and they are usually full with students who have finished classes or have free times before next classes. Those cyber cafes provide services for students to spend their free times entertained by playing games together with friends. Many students, especially girls are always looking to take pretty pictures of themselves and nice foods at well-designed cafes during their free times for their Instagram posts, and for their self-satisfaction. 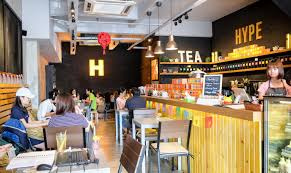 There are many cafes located near INTI Subang for students to enjoy their drinks and foods as well as designed uniquely and nicely to take pretty pictures of foods, cafe’s interior design, and also themselves. INTI Subang is facilitated with areas that are purposed to provide students to use for their enjoyment and entertainment. There are futsal courts, jamming room, basketball courts, and so on that students can use through bookings at Students Service Department. Students can play sports together with their friends and enjoy times with facilities in INTI Subang. There are also tons of shops offering different services and products. Hence, students can easily entertained and spend their times near the campus of INTI Subang according to their preferences and characteristics to visit shops and enjoy the services and products offered by them.